Strive Insurance Group, Inc. is a full-service independent insurance agency that has been serving insurance needs since 1984. 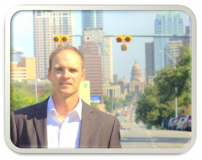 We are a local firm in the Austin area and also have an office in the Dallas area. We are proud to call Austin home and support local businesses in the area. Call or email today to discuss your homeowners insurance needs. I look forward to serving you!